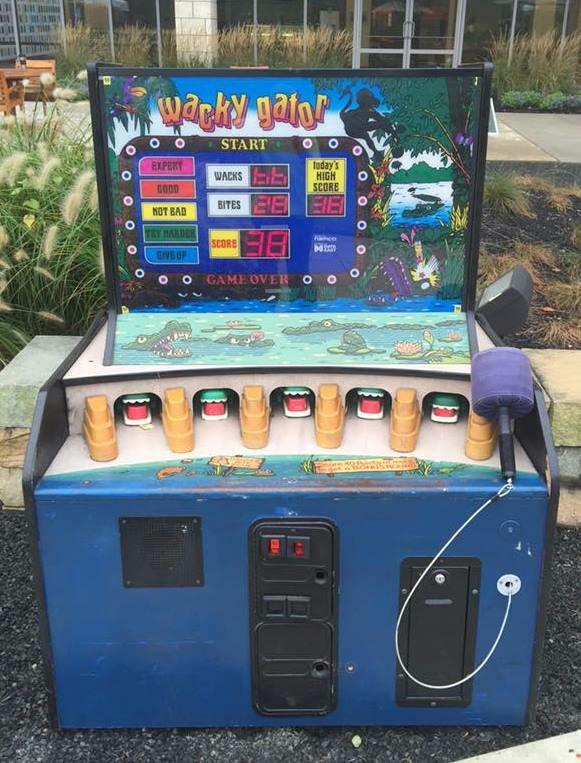 Wacky Gator is a game that 5 alligators heads pop out of there holes at random intervals and the players job is to whack them on the head before they escape back into the hole. Each success whack earns one point, if the gator gets its neck out all the way, this is classed as a bite and points are deducted. 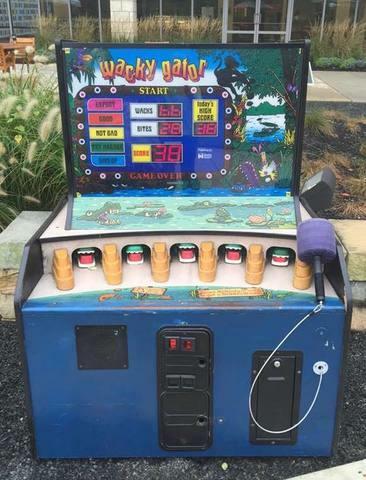 If the player manages to get 40 points within 50 seconds the game enters a bonus round, 10 more seconds where the gators are a lot faster.